The most obvious place to start. In a commanding position located at the western end of the High Street, this famous sporting venue draws in excess of 300,000 people annually with a whole host of events and regular race meetings. The grandstand offers the perfect place to watch the ‘Sport of Kings’ (and Queens) in comfort, whilst being wined and dined, and surrounded by stunning views over the Berkshire landscape of open fields and woodland. One of the most famous attractions in the world is Windsor Castle. It has hosted some memorable events this year including the royal wedding of Prince Harry and Meghan Markle. 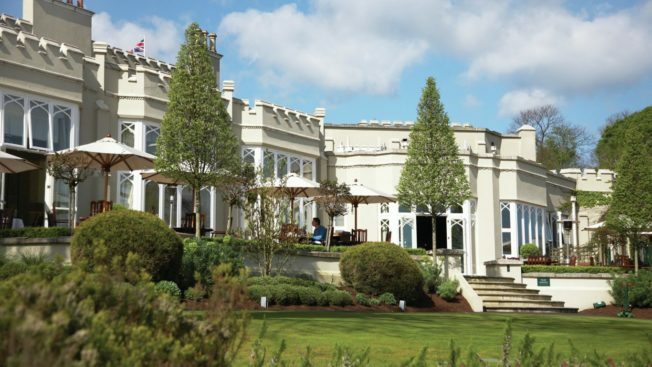 This magnificent castle is only 8 miles away from Ascot. 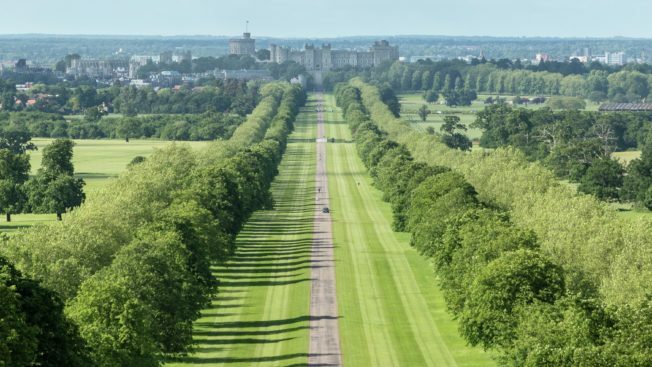 Adjacent to the Castle is 4,800 acres of beautiful ancient forests at Windsor Great Park. This area is perfect for picnics, cycling, dog walking, hiking or even horse riding. If you walk up to The Copper Horse statue, you are able to appreciate some of the best views in Windsor. If you are looking to escape from the hustle and bustle of city life, Virginia Water Lakes offers a perfect place to go and relax. 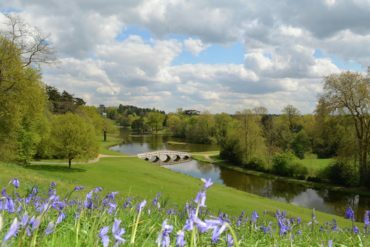 With its natural lakes and abundance of wildlife, Virginia Water defines nature with its cascading waterfalls, ancient monuments and woodland. Less than 3 miles distant is the popular Swinley Forest. Owned by the Crown Estate, Swinley has many activities for children and adults alike. The Look Out Discovery Centre is a large science exhibition, to teach, entertain and inspire children of all ages. There is also a Go Ape high ropes course, a Café, and the Swinley Bike Hub to test your skills on the many biking trails for all abilities. Home to the famous Royal Windsor Horse Show, this stunning venue hosts many sporting events including horse jumping, dressage and endurance riding. For more than six decades, this outstanding venue has been providing world class polo action. 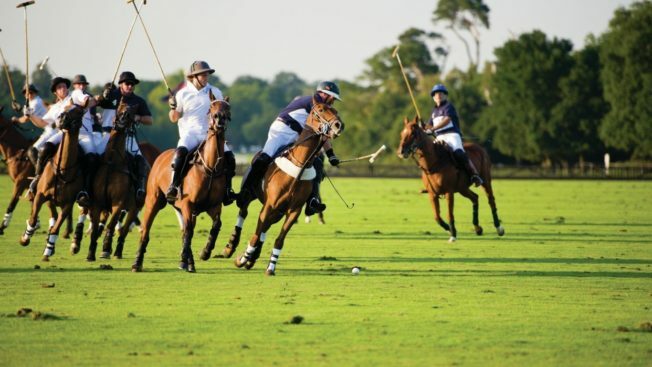 Notable by its royal connections, it is the largest polo club in Europe in terms of membership and number of grounds and set within the Windsor Great Park. One of the most prestigious Golf Clubs in the country, which plays host to one of the biggest events, the BMW PGA Championship. Known as the “home of golfing champions”, Wentworth gives you the opportunity to walk in the footsteps of the greatest golfers to have lived. With fantastic travel links, you can easily take the train to Twickenham to watch the International Rugby. The stadium also hosts a variety of events from international music tours to exhibitions. 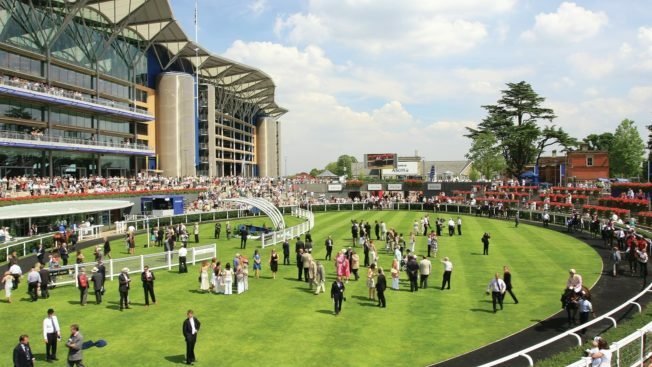 With so many famous points of interest near the town, Ascot has become a very sought after location to live, and a great central hub to work from. To explore further, The Oracle in Reading is easily accessed by rail. Located on the southern side of the town centre, the mainline rail station offers travel to London Waterloo Station within 1 hour. Ideal for commuters travelling into London for work. If you are looking to travel outside of the UK, Heathrow Airport is about a 30-minute drive by car. With a total of 81 airlines travelling to over 200 locations across 85 countries, Heathrow is one of the most popular, and the busiest airport in the UK. There are currently 11 bus services that run through the town. The 01 bus service can take you to Windsor, while the 702 bus service travels to London. 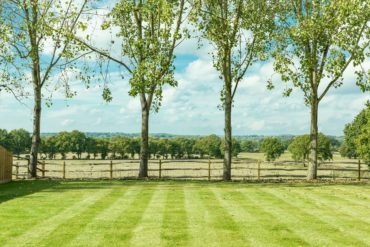 The beautiful 22 acre Kingswood development includes new detached and semi-detached homes ranging from three to five bedrooms surrounded by stunning woodland. The interiors are beautifully appointed, which is the hallmark of a Millgate home. 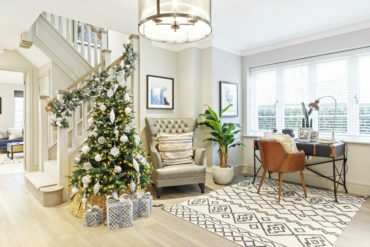 Millgate have also launched a stunning collection of luxury apartments with occupation due early in 2019. The two and three bedroom apartments vary in their layouts and offer both separate kitchen arrangements for open plan living with large rooms filled with natural light. 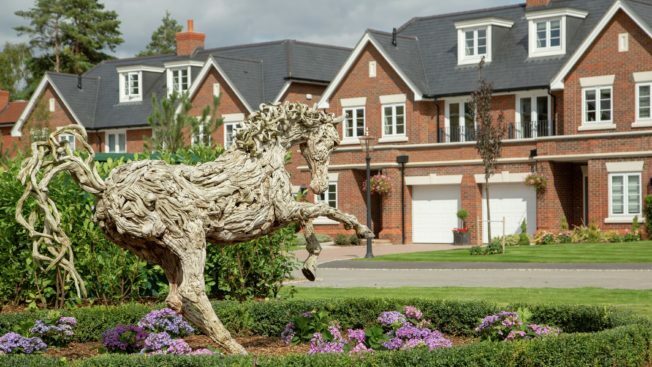 If you are interested in living in Ascot at the Kingswood development, please contact us on 01344 870 325. 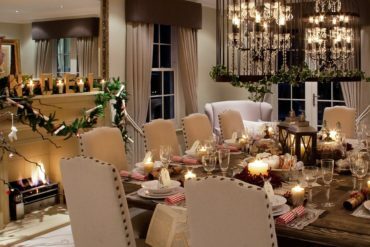 Set with the Englemere Estate’s 12 acres of stunning landscaped grounds, The White House is positioned in one of the most sought-after locations in Ascot. Once you have moved into the White House, you will enjoy access to the tennis courts, residents gym and outdoor heated swimming pool in this secure gated development. With only two apartments remaining, The White House is in popular demand. To view these luxurious apartments, please book an appointment by contacting us on 01344 870 325. Country living by the city, is it possible? 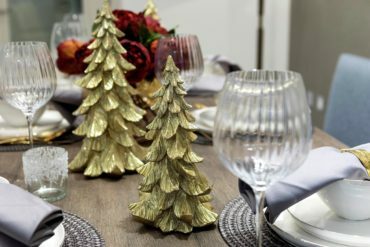 What’s happening in your area this Christmas?